Shining, shimmering, splendid! 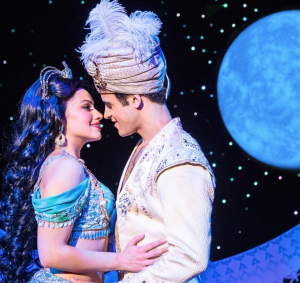 When was your last magic carpet ride? 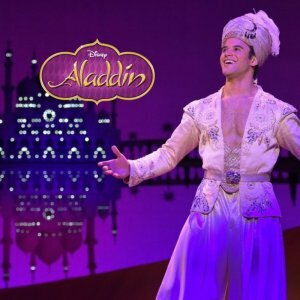 KD Conservatory College of Film and Dramatic Arts congratulates graduate Clinton Greenspan on landing the starring role in the North American tour of Disney’s Aladdin. After attending Arlington High School, Greenspan’s decision to train at KD Conservatory was a no-brainer. The colleges involvement in Dallas’ lively theatre scene, along with its nation-wide network of professional alumni, offered an opportunity for growth in this and other markets. His hard work at the Conservatory paid off. Among his Dallas credits he lists WaterTower Theatre, Collin Theatre Center, Uptown Players, Dallas Children’s Theater, Lyric Stage and Garland Summer Musicals. Michael Serrecchia, a Broadway veteran and Director of the Musical Theatre program at KD Conservatory is a shining star of the Dallas theatre scene. Along with his high-profile faculty, Serrecchia supported Greenspan as he grew his resume under their collective tutelage. The day came when Greenspan decided to spread his wings and fly north to a whole new world. The rest is history.